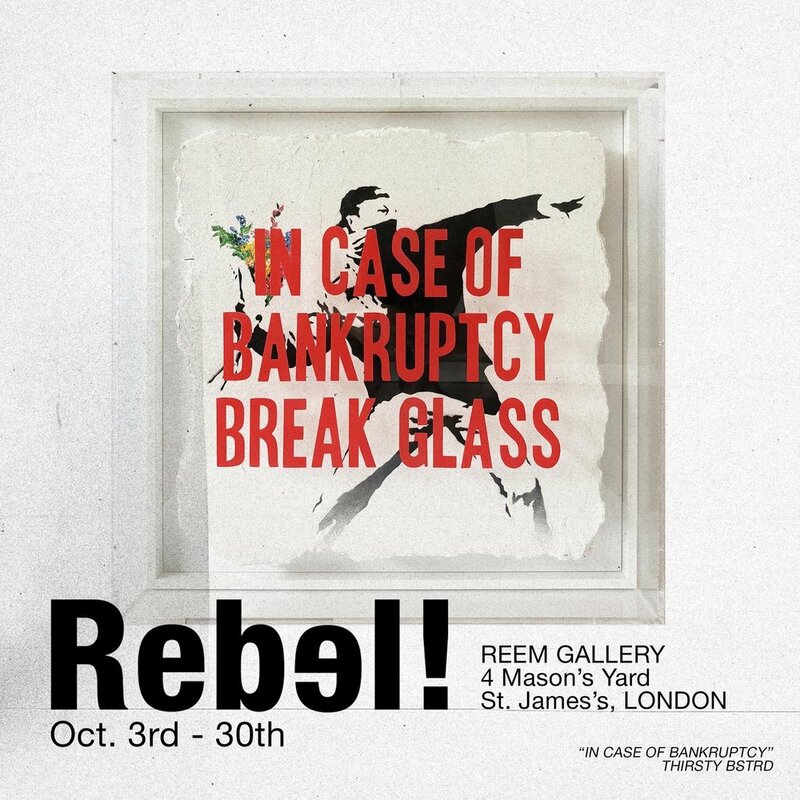 Our inaugural London show will feature artists from across the contemporary and urban art spectrum including Banksy, Ai Weiwei, the Connor Brothers, JJ Adams, Illuminati Neon, Joe Suzuki, Damien Hirst, Jisbar, Magnus Gjoen, Thirsty Bstrd and Rob Bishop. We will also have gallery debuts for the internationally established mixed-media urban artist Aiiroh and emerging French sculptor AVA. Hi Reem Gallery, I will be attending (+ guests) on Friday 5th October from 6pm - 8pm, see you there! Artwork images featured: 'God save the Queen' hand blown neon at £8,000 by Illuminati Neon. 'Flying Dollar' mixed-media sculptor by Ava, £1,150. 'London' original mixed-media by Aiiroh, £3,995.